Limited 180gm gold colored audiophile vinyl LP pressing. The 13th Floor Elevators' second album for International Artists, Easter Everywhere is essentially an extension of the sound of their groundbreaking debut. Another bona fide psychedelic classic, it's standout tracks include the eight-minute epic, "Slip Inside This House" and an inspired cover of Bob Dylan's "(It's All Over Now) Baby Blue." The only 13th Floor Elevators LP to make the Billboard chart captures the group at their absolute peak. 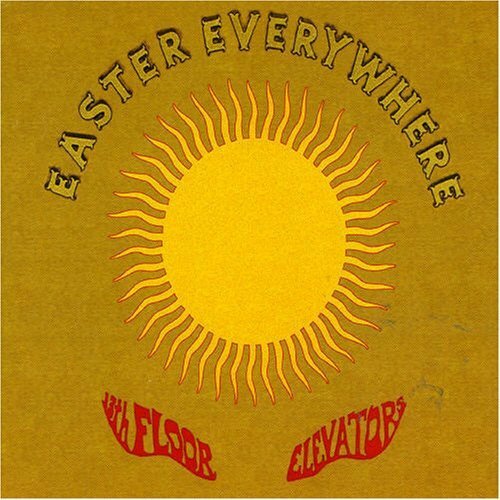 Released in November 1967, a year after their debut LP 'Psychedelic Sounds', the band, critics and fans alike consider 'Easter Everywhere' to be the Elevator's finest work. Produced by Lelan Rogers, the music is delivered with an informed power and intensity of knowing. Even the quieter tracks, 'Dust' and 'Had To Tell You' display a restrained beauty and purity of vision which perfectly counterbalance the intensity of 'Earthquake' and 'Slip Inside This House'.